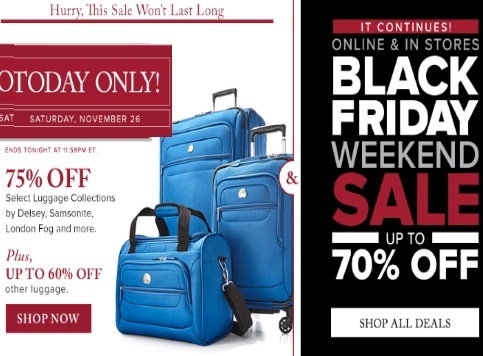 Hudson's Bay has a Black Friday Weekend Sale on now with up to 70% off! Plus hurry and shop today's daily deal which is 75% off select luggage collections by Delsey, Samsonite, London Fog and more. Plus up to 60% off other luggage.